Our guide to Las Vegas will help you find the best green spots in Las Vegas Nevada. Where can you see Paris, Venice, New York and even ancient Egypt, in one day? It's Vegas, baby, where the neon glares, the slots chime, the shows dazzle, and the scenery offers an eye-popping reconfiguring of the world's iconic destinations. Hedonism reigns here, and although the city is truly a bastion of artifice, Las Vegas travel guides from around the world agree that it's a testament to America's ability to go over the top. Sure, you've heard that what happens in Vegas, stays in Vegas -- and you'll surely help put the 'sin' in Sin City. But when you're ready to jump off the bar and curb your gambling habit, plenty of fun awaits you: luxurious spas, quirky museums, lavish pools, and gut-busting buffets. There are tons of great green spots in the city of Las Vegas, our city guide will help you find the best green spots. You may have a hard time deciding what to do in Las Vegas, but we make your decision easy. 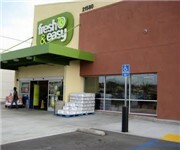 7250 W Lake Mead Blvd, (702) 942-1500 - Wild Oats Community Market is a green food / grocery store located in Las Vegas NV. 1100 E Sahara Ave, (702) 737-1338 - Rainbow's End Las Vegas Natural is a green restaurant located in Las Vegas NV. 2067 N Jones Blvd, (702) 263-5100 - Baked With Love is a green restaurant located in Las Vegas NV. 2381 E Windmill Ln, (702) 254-5382 - Go Raw Cafe is a green restaurant located in Las Vegas NV. 2540 S Decatur Blvd, (702) 252-4013 - Chipotle Mexican Grill is a green restaurant located in Las Vegas NV. 2910 Lake E Dr, (702) 254-5382 - Go Raw Cafe is a green restaurant located in Las Vegas NV. 3475 Las Vegas Blvd S, (702) 836-0804 - Chipotle Mexican Grill is a green restaurant located in Las Vegas NV. 3504 Wynn Rd, (702) 310-6565 - Veggie Delight is a green restaurant located in Las Vegas NV. 4130 S Sandhill Rd, (702) 436-4488 - Long Life Vegetarian Rest is a green restaurant located in Las Vegas NV. 4530 S Maryland Pkwy, (702) 436-9177 - Chipotle Mexican Grill is a green restaurant located in Las Vegas NV. 7170 N Durango Dr, (702) 656-9885 - Chipotle Mexican Grill is a green restaurant located in Las Vegas NV. 7175 W Lake Mead Blvd, (702) 233-3199 - Chipotle Mexican Grill is a green restaurant located in Las Vegas NV. 7340 Arroyo Xing Pkwy, (702) 361-0203 - Chipotle Mexican Grill is a green restaurant located in Las Vegas NV. 7370 Las Vegas Blvd S, (702) 270-1973 - Chipotle Mexican Grill is a green restaurant located in Las Vegas NV. 9240 W Sahara Ave, (702) 243-0226 - Chipotle Mexican Grill is a green restaurant located in Las Vegas NV. Mandalay Bay Resort & Casino, (702) 632-7403 - Border Grill Las Vegas is a green restaurant located in Las Vegas NV. 1600 N Rampart Blvd, (702) 216-0035 - Bruce Trent Park Farmers Market is a green farmers market located in Las Vegas NV. 2570 E Tropicana Ave, (702) 629-6829 - Blooms Farmers Market is a green farmers market located in Las Vegas NV. 3365 E Tropicana Ave, (702) 777-0650 - Sunflower Farmers Market is a green farmers market located in Las Vegas NV. 4020 S Rainbow Blvd, (702) 876-4888 - Sunflower Farmers Market is a green farmers market located in Las Vegas NV. 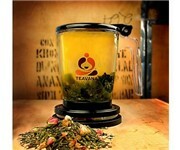 3200 Las Vegas Blvd S, (702) 369-9732 - Teavana is a green coffeeshop / cafe located in Las Vegas NV. 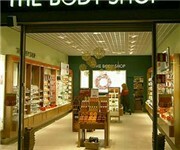 6643 Las Vegas Blvd S, (702) 263-0659 - Teavana is a green coffeeshop / cafe located in Las Vegas NV. There are plenty more green spots in Las Vegas. See all green spots in Las Vegas Nevada.